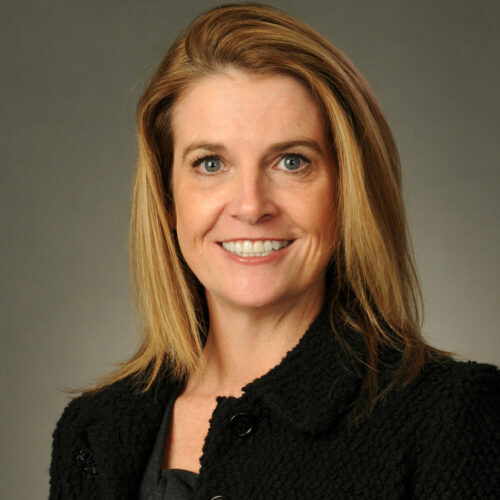 Katie is an Executive Vice President and Chief Investment Officer for the Wealth Management business at Northern Trust. In that capacity, Katie leads the National Investment Management Practice for Northern Trust’s Wealth Management business from the firm’s Chicago headquarters. Her responsibilities include investment policy development with a particular focus on portfolio construction and implementation. She also directs the investment management activities of over 200 Northern Trust portfolio managers across the firm’s 60+ Wealth Management offices. Katie sits on the Firm’s Investment Policy Committee and Tactical Asset Allocation Committee, and she chairs the Wealth Management Investment Advisory Committee. Katie was selected as one of Private Asset Management’s ‘50 Most Influential Women in Private Wealth’ for 2016. Prior to joining Northern Trust, Ms. Nixon worked at U.S. Trust Company for eighteen years in several investment related capacities, including Managing Director and Division Manager in the Wealth Management Division in New York, overseeing a group of portfolio managers and client service officers with total combined assets under management in excess of $7 billion. Ms. Nixon also served on U.S. Trust’s Portfolio Policy Committee as well as the Private Equity Investment Committee. Katie received her B.A. from Wellesley College and her M.B.A. in Finance from New York University, Stern School of Business where she graduated with distinction, Beta Gamma Sigma, and was a Stern Scholar. She has received the designations of both Certified Investment Management Analyst (CIMA®) and Certified Private Wealth Advisor (CPWA®) from the Investment Management Consultants Association. Further, she has been awarded the Chartered Financial Analyst (CFA) designation, and is also a member of the New York Society of Security Analysts and the Investment Management Consultants Association (IMCA).